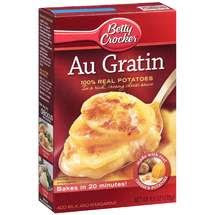 Here’s a printable for $1.00/2 Betty Crocker Potatoes. You can print it through IE or Firefox. If you get these at Walmart they are priced at $0.78 — so that means two boxes for only $0.28 each! !